If you have been reading this blog for awhile now, you might remember a series of blogs that I did that focused on interpreting something Duran Duran did, usually a song but sometimes a video. I haven’t done a blog like that for a long time so I figured that I’m long overdue. In fact, I have not done any of the songs off Paper Gods and that album came out over two years now. I’m clearly slacking. Thus, to get back into this series, I thought about which song would make a good one to interpret, to figure out. As soon as I thought about the track listing, I knew that I had to cover the song, Only in Dreams. Okay. I admit it. This isn’t easy to interpret, for sure. A lot of the lines seem to be not connected, at all. That said, when I listen to this song, I cannot help but feel like it is about fandom. 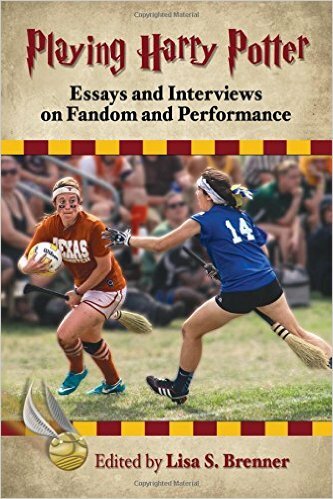 Could the fantasy be about being connected to the subject of one’s fandom, to our idol? Being a part of your idol’s world? If that is part of a dream, I wouldn’t want to wake up either. I feel like fandom is in my genes. I’ll go a step further. The line about the vampire in the limo reminds me of how some fans refer to Nick as a “vampire” of sorts and he certainly might ride in a limo. Could the subject of the fantasy be a woman? “She bathes in moonlight while the shadows watch.” Could this fantasy be mysterious? The sun is going down after all. Could it be about being drawn to someone mysterious or other-worldly? Sure. So, if I had to guess, the song is probably more about being attracted to a mysterious woman and having the fantasy of meeting her. That theory fits more of the lyrics, but I really like my theory that it is about fandom. After all, the night time imagery seems right since a lot of fan activities like concerts happen at night. Celebrities ride in limos. Plus, if fandom is a fantasy, a dream, then I know that I don’t want to wake up. Okay, people, what do the rest of you think? What is the song Only in Dreams all about? Today’s lyric day search resulted in the song, Blame the Machines, one of the album tracks off of All You Need Is Now. As soon as I saw this song on the screen, I knew that I had to do “lyric day” in a different way. Instead of picking just one lyric to apply to my own life, I thought I would discuss this song as a whole. In fact, I might treat it like I did with many other Duran songs in which I think about what it might mean. “The song is based on a news story from Germany about a man who followed his satellite navigation device and ended up driving the wrong way on the autobahn. The song is a commentary on how reliant the world has become on technology, always assuming that the machines will be right. The style of music has a hint of early band material and includes British newscaster Nina Hossain singing the sat-nav vocals. This started off sounding like a Black Sabbath song but then got tempered by the keyboards – which is always what gives us our particular blend. I have no reason to doubt this meaning. It seems totally logical to me. I could see someone blindly following a GPS up the wrong ramp on a freeway, absolutely. I personally know how messed those can be. I remember back to 2008 when Rhonda and I were in Atlantic City and my GPS that I lovingly called, Abigail, tried to direct us to drive on the boardwalk. Yep, it wanted us to drive on the beach. So, this story seems very plausible. Could the lyrics, though, be about something else? It is not that I doubt the band–more like that it could have multiple meanings or that it could be interpreted differently. Let’s focus in on the word machine. According to Google, one definition is: “an efficient and well-organized group of powerful people.” Hmm…A well-organized group of powerful people? So, if I was a member of Duran, what would a well-organized group of powerful people be? The first thought that popped in my head focused in on the music industry. Maybe record label people or music industry people like those who control radio play. Could Duran blame them for something? It wouldn’t be the first time since they basically did that openly with a song like Too Much Information. Could they blame the music or record industry people for not experiencing the same level of commercial success as they had in the past? Again, I think yes. If I dive into the lyrics even further, do they apply to this idea? Obviously, there are lines that definitely support the GPS story. Yet, “losing my way as the night gets long” could apply to my theory, too, after all I bet that Duran has made some choices that they might consider “losing their way” in order to try to get that machine’s approval or to follow the directions of someone who part of the machine. Thus, the music industry could scream out danger. Would someone really have a love affair with a GPS? I’m not sure about that. Could a band be in love with the commercial success that the music industry machine promises? Sure. Could that machine leave them behind, lost? Possible. I cannot help but think about the fact that Duran was in between labels during this time frame and that things did not go particularly well with Sony/Epic. That adds something interesting. The line during this verse that grabs my attention is “I hate to think I’ve been fooled by you.” Could they, at some point in their careers, think that the machine has fooled them? That seems pretty logical, if you think about it. Interactive is a fascinating adjective. Is a GPS interactive? I don’t remember that. Could dealing with music machine members bring interaction? I would say yes on that. One could definitely argue that a GPS could be given control. Yet, could it also be about the music industry machine being in control? That would make sense to me. Overall, it seems to me that this song could be exactly what it sounds like–a situation in which someone followed bad GPS directions while driving. On the other hand, it could be about something else like the music industry machine. I think it show the genius of Duran lyrics in that they could be about multiple ideas and it is up to us as listeners to interpret for ourselves. On that note, how have you interpreted the lyrics to this song? Let me give some background. For awhile I was writing blogs that analyzed and/or offered interpretations of certain Duran songs. Some of these songs were ones that I had been thinking about and others were suggestions from our readers. It became obvious that I could not ignore one of Duran’s most successful singles and one that is often discussed in interviews. I can think of countless times that the band, most specifically Simon, has been asked about what the song means. So, I need what I had to do and looked up the interpretations online then went through the lyrics to determine if the various interpretations were possible or likely. All of this was done on this blog here. Since the blog was posted almost 5 years ago to the day, we have had a ton of people look at it. We still get comments on it. Now, looking back, was it smart of me to do that blog? Was it a good idea to really look at that song? I don’t know. I’m not ashamed of the blog post. A part of me really enjoys looking at theories and lyrics and trying to analyze them and always will. But should I have done that with this song? I don’t know. I have seen interviews in which John Taylor has indicated that it is a good thing that the lyrics continue to be discussed like a poem would. Maybe so. Yet, I see Simon appeared to be slightly annoyed or frustrated when the topic comes up. Is it because he feels embarrassed about them? I suspect not. I wonder if his feelings are similar to mine when I see the hits on this post or new comments. I am always glad when someone comes to the blog for whatever purpose. I am proud of all that Rhonda and I have written over the past 7 years. Likewise, I’m hopeful that one blog post might lead to more searching on the site or having someone subscribe to check in daily. I’m sure Simon feels the same way with the same hope that someone into the Reflex will lead to listening to lots more Duran. That said, it doesn’t always lead to that. There isn’t always more searching on the blog or new dedicated readers. If I had to focus on one point, I would emphasis that there is a lot more here on the Daily Duranie besides talking about the Reflex just like there is a lot more to Duran than the song or a lot more to Simon’s lyrics. So, if you have come to search for the meaning of the Reflex, that’s great. Please, though, take some time to look around at other interpretations or other blogs. Consider subscribing. Come back more often. We have lots more to offer. Every once in a while, DDHQ will ask a question that gets me thinking. Today became one of those days when they asked fans what three songs best represents Duran Duran’s sound. First of all, I didn’t ever answer the question. My intentions were good, but life got in the way, and I didn’t even think about it again until late in the afternoon. I think the first album must display the humble beginnings of this band. That music is what led them, creatively speaking, in a forward direction from the Rum Runner. That said, I think one song has to come from there. The question is, which one? My heart says Friends of Mine, but that’s more of a favorite than it is anything else. Next would be Planet Earth, but is that MY beginning (as a fan) or the band’s, I am not sure. So then I think about Girls on Film. It isn’t my favorite off of the album, but it does display their ingenuity (camera clicks), and I think of the bass line along with the keyboards and guitar…and it does add up to quintessential Duran Duran from that period. So, I’ll go with Girls on Film. The next song is tougher for me, because when I listen to Rio, Seven and the Ragged Tiger, Notorious, Big Thing, or Liberty…every single album changes enormously. Not enough to where I’d say “that’s not Duran Duran”, but I think you all know what I mean. Personnel changes, style changes…but it is all still Duran Duran at heart. So where do I go from here? I think I have to go for the obvious, which is a little painful…but it’s honest: Ordinary World. I would have EASILY preferred Rio, or even Hungry Like the Wolf on some days (!! ), but then I’m ignoring a very important part of their history. I believe Ordinary World is the turning point, the apex when the band collectively decided to keep going and give it their all, whether as the Fab Five, Fantastic Four, or Terrific Three….not that I don’t think they did it before then, I just mean, it all came together beautifully, in that moment. So that leaves one. Goodness. I could have easily done this in five songs. Four songs seems tough, but three? ACK! One song. Ok. So again, I’m struggling with the changes in sound. Sure, Astronaut brings us back to the Fab Five and Sunrise would have been an easy pick, except that it’s now 2017. We’ve had a few remarkably different albums since then. What song defines their sound best? Do I pick something off of Paper Gods because it’s most recent? Do I pick from All You Need is Now because it’s a fan favorite? What about Red Carpet Massacre, where does that album fit? I’m going to work through this the only way I know how – train of thought writing. (which ought to be interesting…) Astronaut was the album, or so I thought, because it brought the band full circle. When I think of the song Sunrise, it brings me right back to all the promise of the Fab Five returning. The trouble is, that didn’t last, and I don’t think it’s a fair representation of their sound. Then there’s Red Carpet Massacre. Out of all the Duran albums, this sounds the least like anything else they’ve done. That doesn’t make it bad, just not quite what I think represents DD. That brings me to All You Need is now and Paper Gods. On one hand, All You Need is Now is like the first part of DD’s career revisited. It is comfortable (for me), but there weren’t a ton of surprises, and I didn’t feel like it was innovative…but I loved it right away and still do. Paper Gods has been a different journey. While it’s forward-thinking, it’s still very much the Duran Duran I know and love. In a lot of ways the album feels and sounds very much like the story of DD’s career. When I listen to only a song or two, I feel like I’ve only heard a single conversation. It is the one DD album I own that I listen to from start to finish without skipping around, which is different. I think that’s why it is hard for me to pick a single song and say “Yep, that is the ONE song that tells it all.” Instead, I find myself thinking about the bonus material. Planet Roaring tells the story of how I feel to be a fan, and if there is any one song that is 100% complete Duran Duran on that album (although it’s only a bonus), it is this one. My problem with picking it is simply no one knows about it but fans. Earlier today I perused the replies from other fans on the original post. The one thing I noticed, overwhelmingly, was that fans mainly chose hits, or in other words…songs that can be found on many a set list. I don’t think that’s an accident. In fact, I would imagine that when the band sits down to think about what they’re going to play on tour, they consider songs that appropriately culminate their career. After all, they are picking a handful of songs that walk (or dance) an audience through their entire career. It’s kind of like Duran 101 when you go to a show! Duran Duran wants to pick songs that an audience knows. That’s why choices like Secret Oktober, Fallen Angel or even Virus don’t get played. No one knows them, and as much as it pains me to say, I get it. I don’t love it, but I get it. I’m curious though, what did you pick? My choices aren’t necessarily the best or even the right ones – they’re just what I picked tonight (I’m writing this on Monday night! ), and I cannot guarantee I’d pick them again tomorrow. I’m sure that not one of you would pick the same as me, so it’s your turn…what would you choose! Last weekend, I spent about 30 hours in a car with three of my colleagues and friends as we traveled to and from Washington D.C. for the Women’s March. During the drive, two of us provided the music, the soundtrack for the trip. While I had compiled playlists of social justice songs and songs about women and women’s power, I also played some of my favorite songs. During a long stretch of horrible fog, my friend turned to me and said, “I like many of the Duran Duran songs I have heard but I just don’t know them that well.” She went on to say that she likes Hungry Like the Wolf and Come Undone. Ignoring those specific songs, my brain started reeling. Which songs should I play for her, I wondered. Before I started picking out Duran tunes, I looked to her music collection. She had lots of Madonna, for example, especially 80s Madonna. The Cure took up space in her collection. Besides that, she had a lot of 90s music on there from the Verve Pipe to Oasis, which makes sense since she is about 10 years younger than me. I took these songs to mean that she likes pop but the fact that she had a lot of the Cure makes me think that she would be open to some darker, more obscure Duran. Here is what I came up with to play for her divided into pop and dark. Since she clearly knows some classics, I thought I would skip more of the obvious ones like Rio. What do you think of those choices? I wanted feel good songs but also wanted to showcase the fact that all Duran, even those feel good songs, have substance behind them. What did I miss? What else should I include? Are you someone who pays attention to our questions of the day? If you are, you know that generally they are poll questions. They are quick, easy opinion questions. The goal is just to keep people thinking of Duran each and every day. Plus, I find it fun to think about which songs or videos I like better and figure that others might, too. I grouped other Duran songs together in themes as well. The other topics I found included violence, nature, weather, animals, places, religion, science and the calendar/time. Could I have come up with more? I’m certain that I could have. Heck, many songs could be placed in multiple categories. I am also concerned that I am forgetting songs. Here is where I need your help. I need you to send me titles of songs I missed. First, let me share the lists I have so far. My questions now are simple. What categories or themes did I leave out? What did I miss? Then, which songs did I miss or should I include that I didn’t? I decided to stick with the titles of songs but should I include lyrics as well? What do you think would be most fun? Yesterday, as I was (supposed to be) working on paperwork, I noticed that Duran Duran threw a question out to the masses on social media. I like the idea of asking fans questions in order to stay engaged – we’ve done that on a regular basis now for the past few years (if not longer), and I really like seeing what kinds of discussions might be sparked, and sometimes – such as yesterday – the answers still surprise me! First of all, what does “definitive” mean? Definitive doesn’t necessarily mean your personal favorite song, although it could be one in the same. Naturally, naming a definitive song tends to be purely based on opinion, even if widely accepted as “fact”. Not so surprisingly, fans have as many opinions of what songs meet the criteria of “definitive Duran Duran” as there might be actual Duran Duran songs recorded. Anything from “Planet Earth” to “Only in Dreams” was mentioned. At first, I tried to keep track – seeing if there was any sort of consensus to be had. Then I noticed there were 2600 responses on Facebook, not counting replies, and realized that my paperwork was actually more important (although not nearly as entertaining). So this morning I took another quick trip through the comments to see if I could pick out any major “themes” to share. I saw several other people say that because Duran Duran redefines themselves with each album, there really isn’t just one song to define them. Fair answer? Many…and I mean MANY…fans prefaced their answer by saying their choice was their favorite song. The one thing I know for sure is that each of the songs Duran has ever done has their own place secured in the collective history of this band. Does that make each of their songs definitive in their own right? Sure. But is that one particular favorite of yours, dear reader, equal to being the MOST definitive? Only you know for sure. One of the most curious things I saw were several posts written by what appeared to be different Facebook profiles – that were worded exactly the same. Down to the same misspellings and chosen song. Odd. Several people chose a song off Paper Gods as the most definitive. A few songs from the album were mentioned by many different people, so I guess my point is that if there was question about whether or not Paper Gods has hit home with fans, I would say the answer is definitively yes! Another fan chides the fan base and DDHQ in one fell swoop by saying that we’re all missing the point. A definitive and/or quintessential” song cannot be chosen in hindsight, therefore the most current release would be the answer. A thought worth pondering, for sure. My own answer for the question became clear when I really thought over what the word “definitive” meant. In my opinion (yes, this is purely my own opinion here), I would think that the word “definitive”, in this case really means that the song defines the band. It is what most people – not necessarily fans – but average, ordinary, every day people who have heard of Duran Duran, think of when they’re asked what song comes to mind. My own personal favorite song doesn’t necessarily define Duran Duran to anyone, and probably not even to me – at least not entirely. So it becomes pretty clear to me that what I might find to be definitive Duran Duran is not likely to be what the rest of the world would first mention. In many ways, the answer for this question is likely more difficult for Duran Duran fans than it is the general public – and that’s because fans tend to concern themselves with a bit more of the minutia of Duran Duran than say, John Q. Public might. Many fans mentioned that the band couldn’t be defined by any one point in their career, insinuated that it was nearly a crime to ask such a question. I hardly think that if I asked my neighbor (assuming they in fact know who Duran Duran is) what song defines the band that they’d have difficulty answering in the same way that a hard-core fan might. Thinking back at the band’s career, and remembering what gets mentioned most often when they’re being introduced at awards shows, or what songs are listed in articles or on television programs when the band is being announced. Invariably, Duran Duran seems to be equated with songs from the 80s, even though we all know they’ve done much more! The public knows Duran Duran as that band who did exotic videos for their songs, and the singles mentioned most often tend to be Hungry Like the Wolf and Rio, and it shouldn’t be a surprise that Hungry Like the Wolf was their breakthrough song here in the US. Do those songs define them? I’m sure many fans say no, with good and fair reason. However, for the public at large – those songs ARE Duran Duran. They are the songs people think of first, they are what will continue to be played on the radio long after I stop listening, and I really believe they are the songs that define Duran Duran to the rest of the world (or at least the part of the world that I occupy). 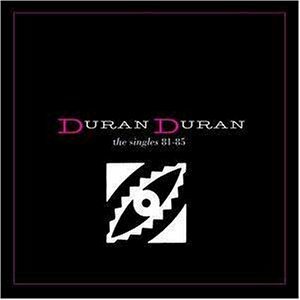 To whittle down from those two songs to a single, firm answer – all I can say is that whenever Duran Duran is played on the radio here – nine times out of ten, it is Hungry Like the Wolf being played. Whenever they are introduced on a television program, or at an awards show, or hosts are talking about the band themselves, I notice that Hungry Like the Wolf is the song being mentioned. Does this make Hungry Like the Wolf the most definitive Duran Duran? Maybe so. Hungry Like the Wolf is likely to be the song that out lives us all.